A NERJA resident has decided to step in and end conflict at the Gibraltar border. Justo Marquez aims to walk the 193 kilometres to Gibraltar today carrying a wooden cross the entire way. Once there he intends to call for the end of the current conflict between the Spanish and Gibraltarian governments. Marquez, aged 50 and currently unemployed, intends to pray for 24 hours in front of the fence separating Gibraltar from Spain once he reaches his destination. 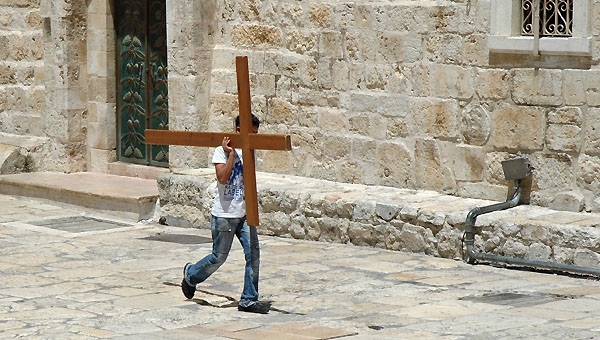 The wooden cross he will be carrying is three metres long and two metres wide with a weight of approximately 10 kilos. Marquez, who walked from Granada to Madrid on a protest march in 2009, will set forth on his journey alone, although he is confident more people will join him on his way to Gibraltar.